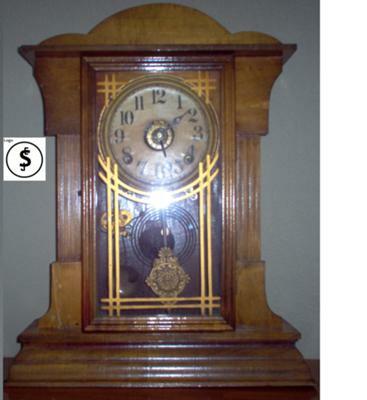 This is a wind-up eight day mantel clock from the late 1800's. The design is very simple with little decoration. The face is paper with a distinctive EJS in a circle over the six. I would like to know the manufacturer and a better approximation of the date when it was made.